Yesterday we went to the museum. First we had to wait for the bus and the bus driver took ages he than came a few minutes after. At the museum we went into a class room and we learnt about tapa and how it is made. Than we went and learnt about migration and that Tongan's and other cultures come over to different country's and they bring food that is different to ours. At lunch time we ate than we got into our groups in my group we had Nick as our leader Daniel, Mere, Ofa and I in our group. We spent the rest of the time looking around at things in the museum like swords and guns my favorite part was the war section and the volcano room. After that we all met with the rest of the class and than we left on the bus. That was an awesome trip. I'm glad you had a great time Latham. The guns were amazing weren't they? I liked the ones with carving on the stock. 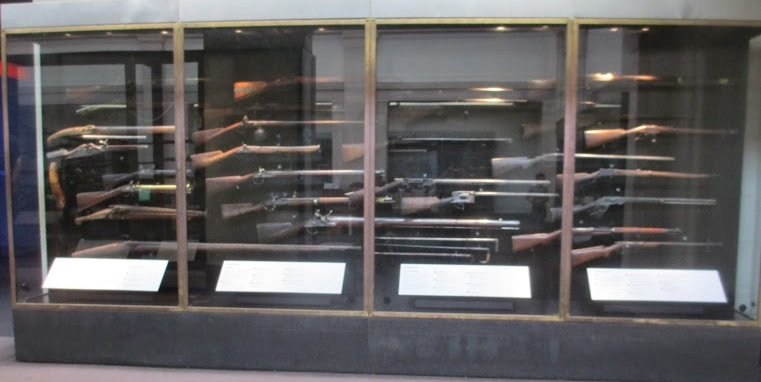 Hi latham the guns look so cool and heavy. I like the big shotgun. Friday the 13th in a cabin.